Burning movies, photos, songs, documents, files, ISO image and etc to CD/DVD is very common thing to be done in daily life. In order to simplify the whole burning process and shorten the burning time, having a good and easy-to-use CD/DVD burning application is important. Explore&Burn is one of the simple CD/DVD burning applications that has been integrated to Window Explorer that allows you to burn files easily from right click context menu. Explore&Burn is a freeware that comes with simple interface. Besides supporting normal files and documents backup, it is enhanced with disc images and all major disc file systems burning such as ISO image files, single-session and multi session discs with ISO-9660, Joliet and UDF file systems. Besides, it supports wide variety of disc types like CD-R, CD-RW, DVD-R, DVD+R, DVD-RW, DVD+RW and DVD-RAM discs including dual layer discs. 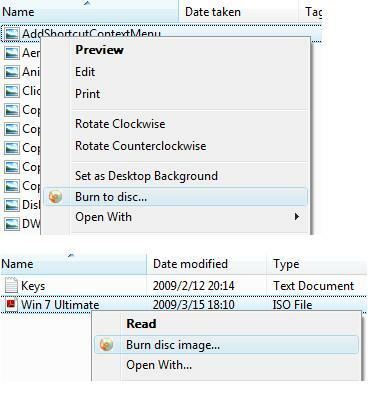 With the integrated feature into Windows Explorer, users can burn files easily by just right clicking on the file, then select Burn disc image or Burn to disc from context menu. The simple and easy understand wizard will be displayed and guide you through the whole process. You will be asked to select CD/DVD writer drive, burn speed and the title you want to be given to the disc. Once this required information is entered, the disc burning process will start automatically. Explore&Burn v1.1 is absolutely clean and free for home and commercial use and is compatible to run on Windows XP/2003/Vista/7 for both 32 and 64-bit OS. For Windows XP and Windows Server 2003, you need to install KB932716 upgrade package from Microsoft in order for Explore&Burn to work well.